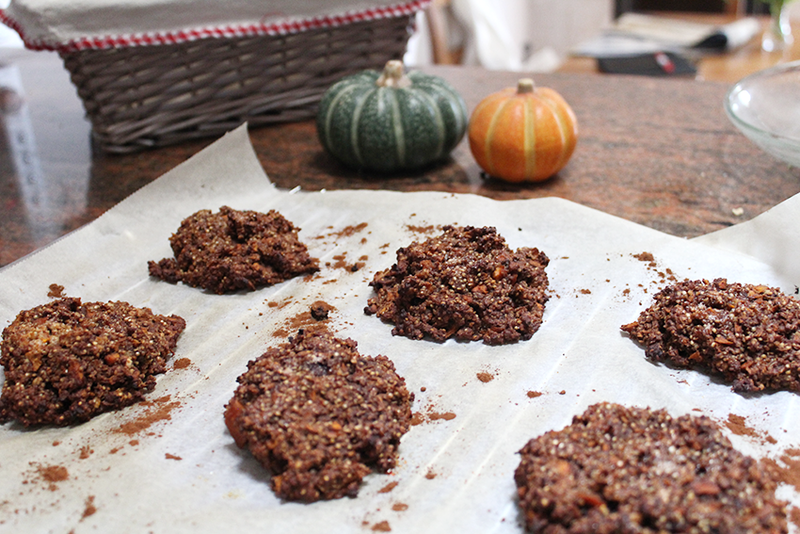 HEALTHY CHOCOLATE AND CARROT QUINOA COOKIES | RAWR BOWS. You've heard it a thousand times. From your mother, from your healthy friend, from your teachers. Breakfast is the most important part of the day. However, morning is usually the time we're rushing out of the door and the last thing we're thinking about is how balanced our breakfast is, if we even have any breakfast. I am a 'big bowl of cereal every morning' kind of person, but that means I have to wake up about 30min earlier to have my breakfast. But I like to sleep. 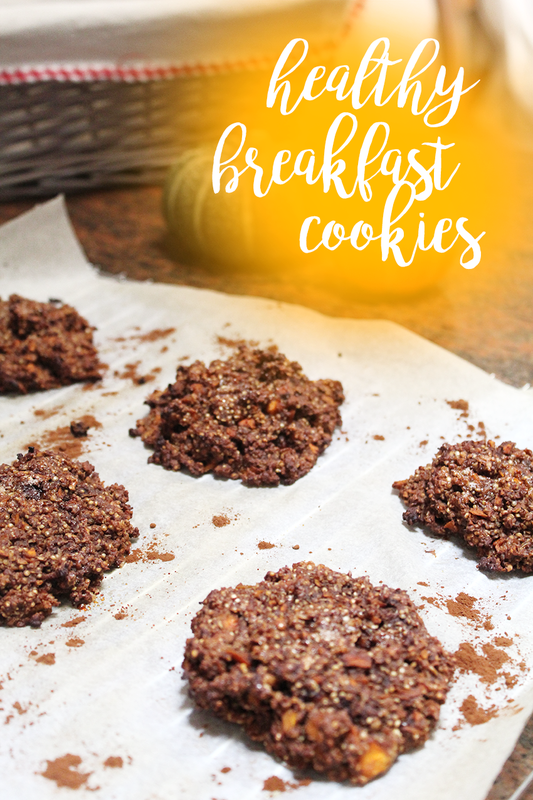 So these healthy cookies are perfect to have for breakfast as you're running to your car to get to work or school. They don't have any refined sugar and are filled with energy that will get you through the morning, even a busy and long Monday morning. Plus, they are super easy to make! Start by pre-heating the oven at 200 degrees celsius. Then, whilst the quinoa is cooking, mix all the dry ingredients and add the carrot. Mix until all the carrot is coated with flour. Add the coconut oil, honey or maple syrup and vanilla extract. Mix well and then add the cooked quinoa. Mix everything again. On a lined baking sheet, scoop the dough on to the baking tray. It should give about 6 or 7 big cookies. Bake them for about 15-20 min at 180 degrees celsius.